How to Pronounce “Porsche”: Is It Pronounced “Porsh” or “Porsha”? How do you pronounce “Porsche”? Is it pronounced “Porsh” or “Porsha”? If you’ve ever wondered about this, don’t worry: you aren’t alone! In fact, many people pronounce this luxury car brand name wrong, which is likely what prompted the company itself to post the helpful video below. 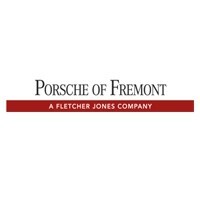 Now that you have the correct pronunciation of “Porsche” down, learn more about Porsche history and other tips for Porsche owners from Fletcher Jones Porsche Fremont! From the top 7 Porsche models over the past 70 years to the significance of the Porsche logo, we are experts on everything Porsche. Contact us to learn more!